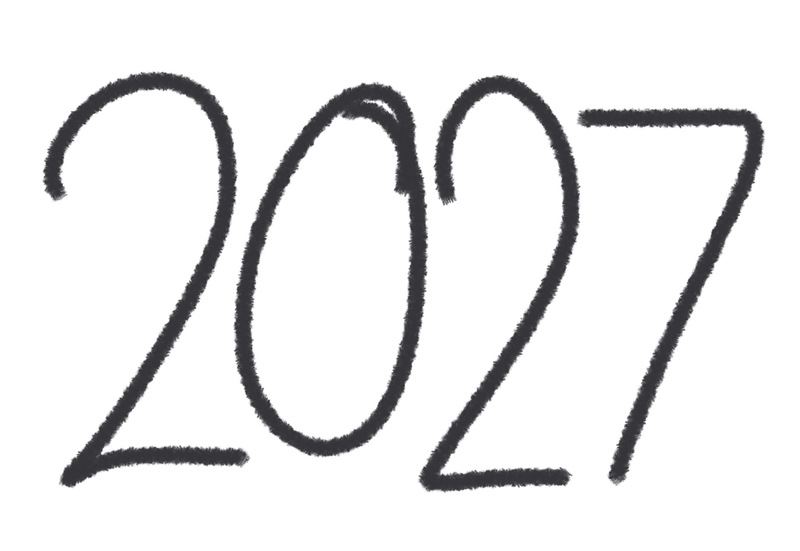 HomeReflections from Infection Prevention 2017: Where will IPC be in 2027? Martin Kiernan and Heather Loveday both gave excellent talks reviewing the past decade. Martin focussed on how critical reports in the 2000s (chiefly the NAO 2000 report) drove a higher level of political engagement in IPC, targets, and investment, which has resulted in spectacular reductions in MRSA BSI and CDI. Heather described how the evidence base has changed: Matching Michigan to reduce CLABSI, bundles to reduce CAUTI (check out the excellent ‘quick take’ video summary of this one), improved understanding of human factors, a patient safety movement, and an improvement in research methods. None of these advances matter though if healthcare workers don’t implement the basics of the bundles! Speaking of which, Michael Borg made the case that IPC should be recognised primarily as a behavioural science. Why can’t we get people to follow basic IPC practice? We need a multifaceted approach encompassing evidence but also appealing to emotion, embracing technology (e.g. automated room decon technology), and all in the context of cultural determinants and personal characteristics, which influence behaviour. Organisational change is challenging, especially in large and complex NHS organisations. Speaking of which, perhaps the clearest example of the need for behaviour change in IPC is improving hand hygiene compliance. A Didier Pittet vs. Michael Borg debate centred on whether each of the WHO 5 moments for hand hygiene should be given equal priority. Didier described bucket-loads of evidence for multimodal approaches to improve compliance with all 5 moments, which were designed to cover all aspects of patient care. It is interesting that overall compliance is roughly the same if you measure the “2 moments for hand hygiene” (before and after patient contact) vs. 5 moments. Didier’s most powerful argument was that it’s no good improving compliance with moment 1 (before patient contact) if compliance with the other moments is terrible: the outcome will not be reduced HCAI! Michael Borg made a more pragmatic appeal: whilst in principle shooting for all 5 moments makes sense, in reality a focussed approach on key moments is best. There simply isn’t enough time to achieve 100% HH compliance a la 5 moments in the ICU setting, experience from the media / marketing / communications world tells us that messages need to be simple to affect behaviour (“don’t bury the lede” and avoid decision paralysis), and, perhaps most convincingly, if I had to choose whether my carer washed their hands after touching a surface or before performing an aseptic technique on me, I think the answer would be clear: which of these two is the ‘critical control point’ (more HACCP required) for preventing HCAI? (This isn’t to say that hand hygiene following surface contact isn’t important – it is – it’s just not as important as hand hygiene before and during an aseptic procedure.) My view: I don’t really care whether you monitor 1, 2, or all 5 moments, provided we are not kidding ourselves with unrealistic compliance data! I posted during the conference about a recent DALY-adjusted ranking of HCAI, suggesting that our major focus should be HAP. Whilst I don’t think this is the case either now or in 2027 (due to the overdiagnosis of HAP), I do think the focus of our IPC programme will be different in 2027. Tom Riley described how CDI is waning, along with MRSA BSI. Our experience locally matches the picture elsewhere, that hospital transmission of CDI is increasingly uncommon. Perhaps there will be more evidence to suggest that we should screen for asymptomatic colonisers, more interventions to reduce the severity of CDI when it does occur, more of a focus on community prevention (including not sun-bathing on the lawn), and less of a focus on molecular diagnosis (which can breed overtreatment). I do think there’s a good chance we’ll be calling Clostridium difficile something different (e.g. ‘Clostridioides difficile’) since the phylogeny of C. difficile is in a mess. But I do hope that somebody will stick with something that can be abbreviated to C. difficile! Meanwhile, the problems caused by antibiotic resistance in Gram-negative bacteria are waxing. Speaking of which, the government has announced an ambition to halve healthcare-associated GNBSI by 2020. So, there will be a >50% reduction in HA-GNBSI by 2027 in that case, right? Well, just like the outcome of Martin and my Reflections debate on the subject, the majority of the audience polled by Ruth May did not think the 50% reduction is achievable. I was one of the few who voted that we can make the reduction: I think there’s a lot to go for in reducing GSBSI in both the hospital and community setting. We published some work at IPS on the sources of E. coli BSIs at Imperial. In our hospitals, febrile neutropaenia and the GI tract are common sources: these are probably less preventable than many cases with a urinary source, so we need to recognise the need for locally-tailored prevention approaches. Jacqui Reilly gave an excellent overview of BSI and sepsis. There are reams of relevant data in the excellent Scottish HCAI point prevalence survey, finding that 4% of patients in Scottish hospitals had an HCAI, and 12% were sepsis / BSIs. Progress being made on identification and management of sepsis: but much further to go; I would hope that by 2027 we’ll all have fully integrated IPC / AMS / sepsis-prevention programmes! Nicki Fawcett warned us to avoid ‘Microbiomania’ (where the price of oil and everything is because of changes in the human microbiome), but to recognise the increasing understanding of the role of the microbiota in infectious diseases. This is illustrated most dramatically by the impact of faecal microbiota transplantation in prevention recurrent C. difficile. Our microbiota is effectively a functional part of our immune system, and can offer us ‘colonisation resistance’ against AMR bacteria. Can FMT be used for decolonisation of AMR bacteria? Should we be using probiotics to ‘immunise’ our gut against the risk of CDI? Should we give a dose of faeces with each does of antibiotics? By 2027, we will know the answer to these questions. In the meantime though, isn’t poo beautiful? The costs of healthcare are spiralling, and the funding remains flat (or dwindling). Combine this with the fact that AMR bacteria prey on the poor and vulnerable in society. The cost of HCAI is significant. Tracy Coates outlined the costs that the NHS incurs from litigation related to HCAI, which is not small! What can we do in the face of these healthcare system-wide challenges? Jules Storr introduced some helpful ideas, aligning IPC as an underpinning requirement for universal health coverage. And Sanjay Saint reflected on his career to date, concluding that above all else we should focus on leading with energy, compassion, and love (the love bit got me thinking)! Happiness is actually an infectious agent; so let’s release it! Thanks to the organising committee and all who contributed to Infection Prevention 2017. It’s useful to think about where we will be in 10 years’ time: I’d be interested to hear where your vision differs to mine! Wow- now that is what I can an IPC gamut. I left wondering, how long did it take to write that and you must read and remember volumes. Thanks for providing so much to think about. Thanks Gwen. I don’t count the hours, but it’s a bit of a hobby for me so doesn’t feel onerous! Great coverage of the event. Wish I had the chance to attend this year. Who know maybe I can come next year? Call me a dreamer…. But I hope we won’t need to have antibiotics, maybe not in ten years, but perhaps one day we could cure infections without the need for antibiotics. Could it happen Jon? Or am I dreaming the impossible. You’re a dreamer! We will be using antibiotics for many years to come. But I do hope that biocides will replace some of the traditional uses of abx, and that we will do more watchful waiting to reduce the volume of usage and selective pressure for resistance. Thanks for the comment.